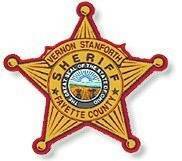 A 72-year-old Orient, Ohio man has been identified as the person shot and killed by a Fayette County Sheriff’s Office deputy/deputies Wednesday on Rockwell Road. According to a news release from the Fayette County Sheriff’s Office, Randall J. McKenzie “was recently identified as a suspect in a sexual assault of a juvenile.” Fayette County Children’s Services initiated an investigation following a complaint to the agency. According to the report, a person who was aware of the investigation regarding McKenzie reported to the investigating detective on Wednesday that McKenzie was in a red pickup truck “in the area of a common drop off site of elementary students in the vicinity of Madison Mills.” When the detective, who has not been identified, responded to the scene at around 4 p.m., he did not find McKenzie, but “upon further checking of the area, the detective located the vehicle, occupied by McKenzie, on Rockwell Road,” according to the report. “Upon exciting his vehicle, McKenzie displayed a firearm, pointed it at the detective, and failed to drop the weapon after multiple commands to do so,” the report said. At this point, McKenzie was shot. He was pronounced dead at the scene by Fayette County Coroner Dr. Dennis Mesker. Jill Del Greco, public information officer at the Ohio Attorney General’s Office, said Thursday that five deputies were present when McKenzie was shot. Guns were collected from each of them in order to determine who shot McKenzie or if multiple deputies shot him. Del Greco said a gun, a Jennings 22 caliber pistol, was also taken from McKenzie. The investigation into the shooting will involve conducting interviews, talking to witnesses, and reviewing autopsy and toxicology reports, according to Del Greco.